Legal Separation. What does it mean? How is it different from divorce? Many married couples “separate” when contemplating a permanent split or working toward eventual reconciliation. “Legal separation,” however, specifically refers to a court-approved separation which defines legally enforceable rights and obligations, but does not permanently end the marriage. Legal separation differs from more informal separation because a court must approve and order legal separation. It also differs from divorce because the marriage continues to exist after a legal separation. 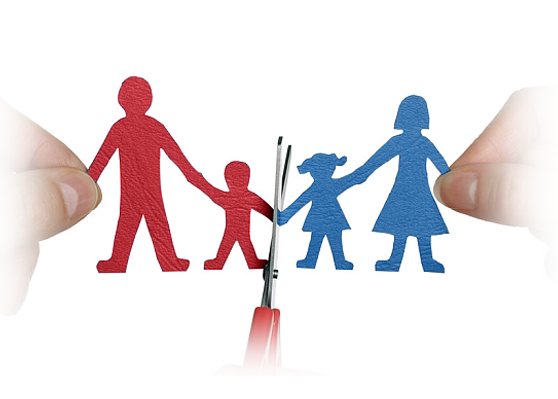 Legal separation appeals to couples who do not wish to divorce, but who will live separately and want matters such as child support, child custody, and property division clarified legally. Legal separation typically applies to couples who foresee permanent separation, rather than a temporary trial separation. Common reasons a couple might wish to legally separate, rather than divorce, include the financial benefits of remaining married (such as tax incentives) and religious beliefs which may conflict with divorce. Legal separation offers the benefits of legal clarity akin to divorce orders. Property rights between the two parties are divvied up, as are child custody, child support, and spousal support right and obligations. While couples can simply agree to such matters without court involvement, obtaining a court-approved legal separation simplifies enforcement of these rights should dispute arise. Grounds for legal separation typically mirror a states grounds for divorce often including incompatibility, abandonment, adultery, and cruelty. As in a divorce, if the legal separation includes child custody, child support, and spousal support conditions, those obligations may only be modified with court approval. Legal separation does not end a marriage. Though rights and obligations of each side are clarified under a courts separation order, the marriage still legally exists. For this reason, people who are legally separated may not marry a new spouse without breaking bigamy laws. Legal separations also allow couples to more easily return to a life together should they decide to reconcile. Unlike a divorced couple, if a legally separated couple wishes to reconcile, they do not need to get married again. They simply need to submit a request to resume the marriage to the court. On the other hand, should a couple decide to permanently end the marriage, a legal separation order greatly simplifies the divorce process. Many couples separate without the intention to permanently split. They may use a trial separation to work toward reconciliation or decide to live in separate places. In these cases, legal rights and obligations regarding children, property, and debts remain the same as they would in marriage. Issues such as division of marital property or what one spouse would owe in child support might be subject to an agreement but have not been resolved as they may be in a divorce or legal separation order.